The City of Campbell is a small town in Mahoning County positioned in the northeastern corner of the State of Ohio, approximately five miles from the Pennsylvania border. 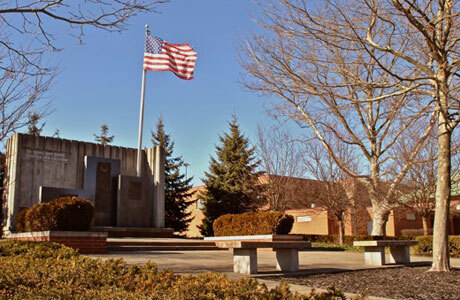 The form of what was to become the City of Campbell began in 1902 when the Youngstown Iron, Sheet and Tube Company established operations on the banks of the Mahoning River in Coitsville Township. The character of the city came from the young immigrants who poured into the Mahoning Valley to work in the growing steel industry. The original boom town ultimately matured, and in 1926 officially became known as the City of Campbell in honor of its founding father James Anson Campbell. Recent years have pointed to a transition in the industrial makeup of Campbell and the Mahoning Valley. The City of Campbell, along with the communities of Lowellville and Struthers and the townships of Poland and Coitsville, have already begun to prepare for this transition. Community leaders from these areas have formed a community improvement organization, the CASTLO CIC, to encourage other types of manufacturing and service-oriented industries to locate in the Valley. Community residents and businesses enjoy the excellent commercial and industrial services afforded by the close proximity of Campbell to the Greater Youngstown area. Campbell is outlined by State Routes 289 and 616 and U.S. Route 422, with easy access to I-680 — which in turn provides access to State Route 11, I-80, I-76, and the Beaver Valley Expressway. Rail service is provided by the Mahoning Valley Railway Co., Chessie, and Three Rivers Railroads. A wide range of education opportunities is available to area residents. In addition to an excellent public school system, there are the Mahoning County Joint Vocational School and Youngstown State University. Located just four miles northwest, Youngstown State offers undergraduate studies in the arts, sciences and engineering. In addition, associate degree programs in most technical fields and graduate programs have been developed. Roosevelt Park, located in the northeast quadrant of the city, offers Campbell residents 64 acres of park for picnicking and ice skating. Facilities are also available for baseball, softball, soccer and tennis. The CASTLO CIC and other civic organizations are working with city government to develop sites and a community atmosphere, which will encourage existing industry to expand and new industry to locate. An important undertaking is the current project of creating the CASTLO Industrial Park from the former Youngstown Sheet & Tube Struthers Works. This land includes 120 acres and 11 buildings totaling 600,000 square feet. Seventeen companies currently make use of space at the park.